Transparent Rainbow Crystal Bugle Size 3 Seed Bead 10g. 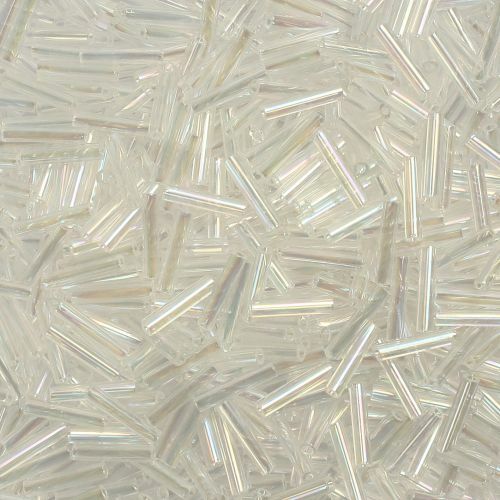 These tube shaped seed beads come in a 9mm length and are clear, with a rainbow finish. Great for use in a variety of projects. These Toho beads are made in Japan and are known for their great quality, due to being consistent in colour and size. CommentSo pretty when made up into a design. CommentPerfect for what I needed.